Technology has been growing very rapidly. Everything has to be obtained quickly. With the ease of convenience offered by the technology we too are interested to have all the ease it. Automated home, first maybe just a mere fantasy to have an automated home, but in today’s automated home can already we have. Certainly the technology is still evolving and will continue to be developed. Feature of this automated home provides comfort and convenience for us who live in it. examples of automated home system this is the light that we can turn on or turn off just with our voices, the control system knows who the people who visit our house, a security system that only allows certain people who can enter into the a certain room, the walls of the room which can be we set it as we want and possibly many more features of automated home systems. For video of the automated home can be seen below. Deutsches Technikmuseum Berlin (“German Museum of Technology”) was founded in 1982 in Berlin, Germany, first opened in 1983 under the name Museum of Transport and Technology, which it carried until 1996. The museum sees itself as the successor of the over 100 technical collections that have occurred in recent centuries in Berlin, last of the collection for a transport museum in the German Democratic Republic (the Hamburger Bahnhof), has over 25,000 m² and offers a large exhibition space at the site of a Eisfabrikation and pickup of goods and postal station and is visited by 600 000 people annually. focuses mainly of the waterways and rail traffic in / around Berlin and in Germany, beer, jewelry manufacturing and energy production. The air and space exhibition documents the development on these areas during the 20th Century. Among the numerous exhibits are the only remaining steel-Jeannin Taube, built in 1914, from the beginnings of military aviation. 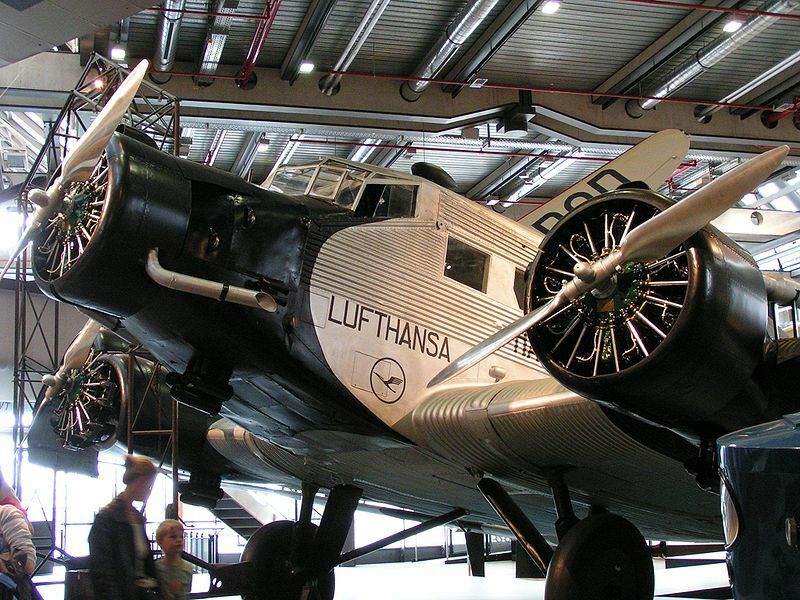 The central object of this exhibition is the commercial aircraft Junkers Ju 52, better known as Aunt Ju. Rare memorabilia, a flight captain of Deutsche Lufthansa and a well-known sport pilot flying light up their everyday lives. The two-seat aerobatic training aircraft travel and Arado Ar 79 shows the state of development of civil aircraft at the aircraft factory Arado before the Second World War. The exhibition area to the Second World War focuses on the rise and fall of the Luftwaffe, and shows how the Nazis abused the fascination of flying for their own purposes. The wreckage of a Junkers Ju 87 Stuka bomber can imagine the destructive potential of the aircraft as a weapon. The media station shows man and war on the basis of six biographies of the lives of former Air Force member. Since March 2008, is a VFW-614 as an example of a German aircraft development after the Second World War in the possession of the art museum. Not out of concern for users of Android devices some malware that target them, this time comes again a malicious app named DroidDream Light (DDLIght). DDLight is the latest variant of the previous version, Myoumet / DroidDream, and has infected more than 50 apps in the Android Market. 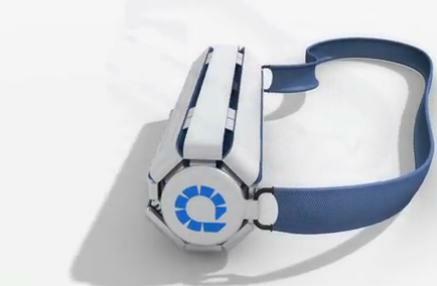 Some analysts had thought DDLight is a version of “lighter” than its predecessor. In fact, in reality this is more dangerous version. ESET security vendor said in his press statement, this trojan does not require the user role to perform application startup. It takes only a phone call. When users answer, trojans automatically active and installing additional applications on the device. Furthermore, the application will be integrated so as to commit crimes, such as data theft. A total of 120 thousand users Android DDLight estimated to have been affected. Google also has acted to remove applications that are suspected of being infected with this malware. DDLight adding a long list of harmful malware that attacks Android. This month alone, at least two kinds of malware has been detected, namely DroidKungFu who steal data and control the phone and send SMS Android.Smspacem functioning doomsday warning. 30 years ago, no one uses a PC and 20 years ago who thought that the PC can take a walk (portable). In a short time, thousands of laptop models come in various sizes with no predictable what will come next. Orkin Design has introduced the so-called touch screen can be rolled up like a rolltop and rolled-up newspaper when kaskuser want jalan2. Rolltop could also serve as a monitor screen. Rolltop has a 13-inch screen when it functioned as a laptop and 17 inch when it functioned as a monitor. 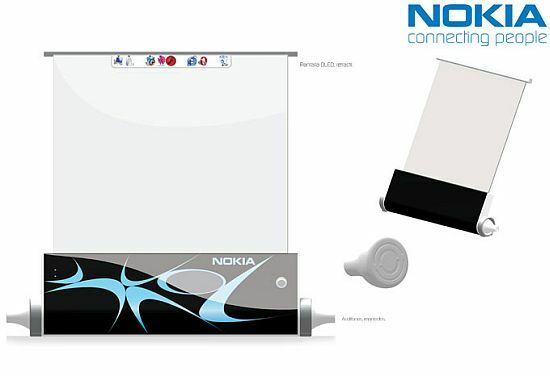 This concept is also the same as before, using the screen rolls. 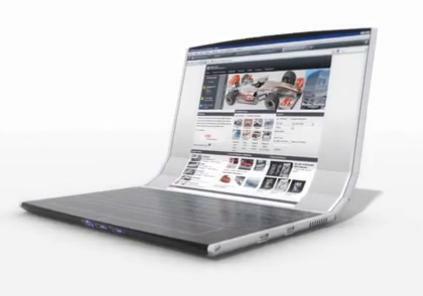 But this laptop is more focused on its entertainment function by the inventor, Rodrigo Mercado. The advantage of this laptop is on the level of color brightness, wide viewing angle, low power, and high contrast ratio makes it perfect for use watch movies. This laptop also uses sound as a command input method. Along the reduced screen size laptops and netbooks, the size of the keyboard and touchpad ikut2an also reduced so that we often feel the need to use a wireless keyboard because its size was too small to use comfortably. iWeb 2.0 is designed by Yang Yongchang and resolve the problem size keyboard because the keyboard in iWeb can be folded into 3 and according to the size of the screen is only 6.5 inch. 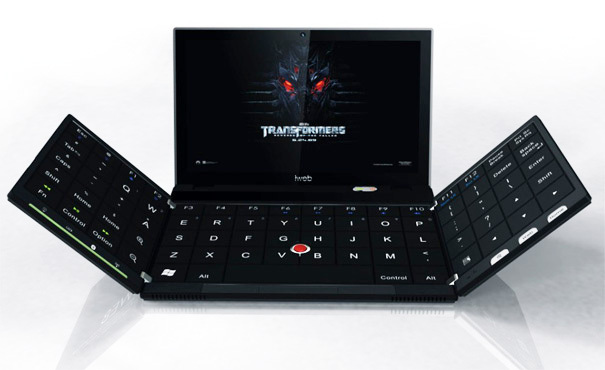 This netbook also supports multi-touch technology and gravity and other features are unusual.